Cologne - Highlights, records and celebrations: Bundesliga clubs and players alike are hot on the trail of further historical best-marks in 2015/16. SV Darmstadt 98 defied all expectations in 2014/15 by earning promotion to Germany's top tier, just a year after breaking out of the Third Division. The Lillies have made 68 Bundesliga appearances to date and will hit the century mark on Matchday 32 of the 2015/16 campaign (29/30 April). All being well, that could also be the day they celebrate securing their top-flight status.defied all expectation in 2014/15 by earning promotion to Germany's top tier, just a year after breaking out of the Third Division. The Lillies have made 68 Bundesliga appearances to date and will hit the century mark on Matchday 32 of the 2015/16 campaign (29/30 April). All being well, that could also be the day they celebrate securing their top-flight status. Bastian Schweinsteiger is a major player at FC Bayern München. Indeed, the 30-year-old already holds the record for most Bundesliga wins (222) of any player in the current squad. In 2015/16, he can take that record to another level by reaching the 250-mark. Only four other Bayern legends have amassed more wins: Klaus Augenthaler, Gerd Müller, Sepp Maier and record-holder Oliver Kahn (310). 1. FC Köln may also have something to celebrate in 2015/16. On Matchday 8 - at the start of October - the Billy Goats will make their 1500th appearance in the Bundesliga. Only eight other top-flight sides can claim to have made more.may also have something to celebrate in 2015/16. On Matchday 8 - at the start of October - the Billy Goats will make their 1500th appearance in the Bundesliga. Only eight other top-flight sides can claim to have made more. 2014/15 represented something of a rollercoaster ride for Bayer 04 Leverkusen striker Stefan Kießling, the 2013/14 Torschützenkönig having at one stage endured the longest goal drought of his career (859 minutes). The 31-year-old nevertheless finished the season on nine league goals to take his overall Bundesliga tally to 135, and he could even be a member of club 150 by this time next year. At present, only 18 players have scored more Bundesliga goals than Kießling. Since 1963, only 13 have broken the 150-barrier. Or should that be wheat beer? 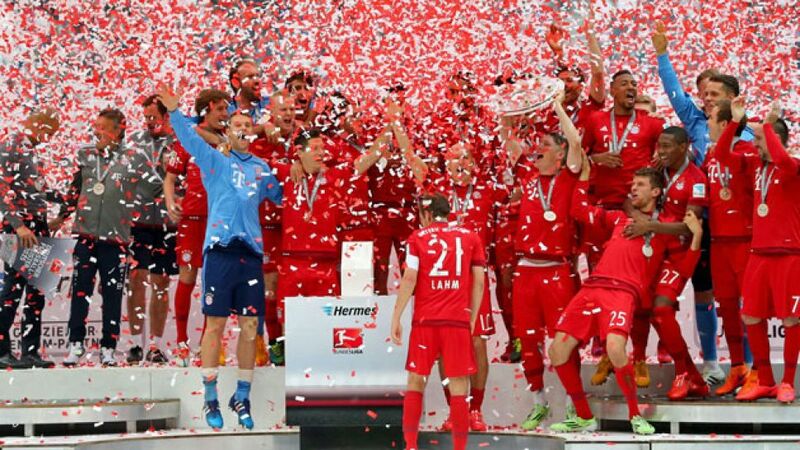 Bayern certainly know how to party judging by their 24th Bundesliga title festivities at the end of 2014/15. And there could be yet more celebrations in the Bavarian capital as early as Matchday 10 of the forthcoming campaign. No Bundesliga team has made it as far as 1000 Bundesliga wins, but Bayern - currently on 990 - are a perfect season start from changing that.